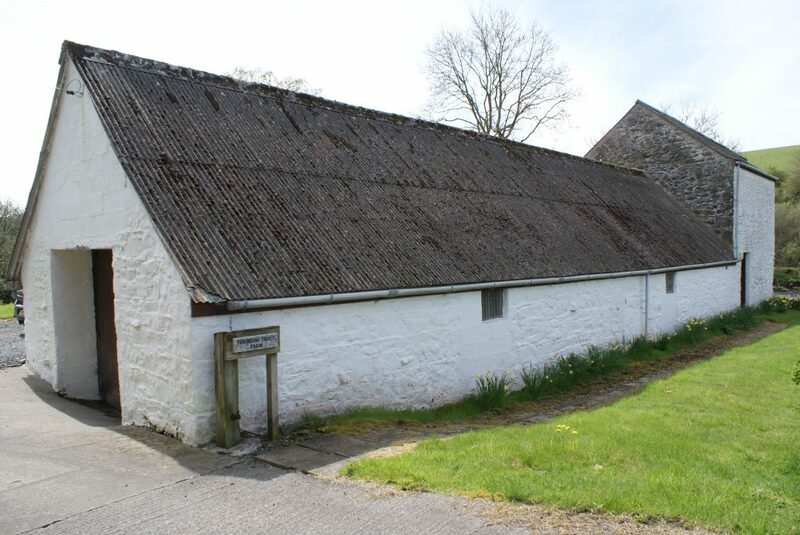 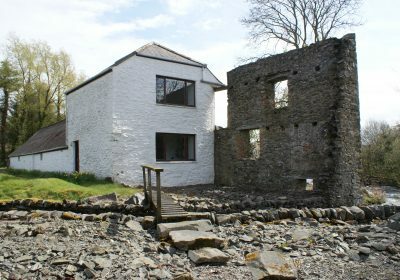 This existing stone Mill building stands on the banks of the River Bladnoch, with a Mill Lade running across the front. 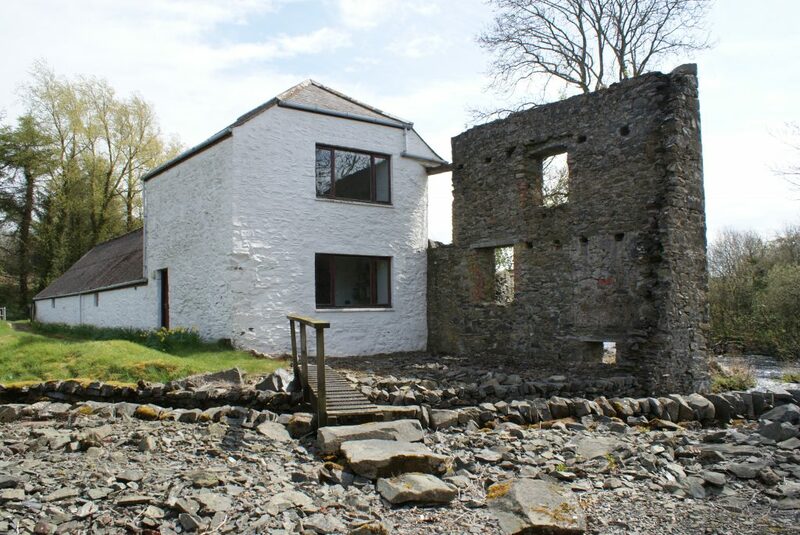 The brief was to convert the Mill into living accommodation and provide a modern, open-plan extension. 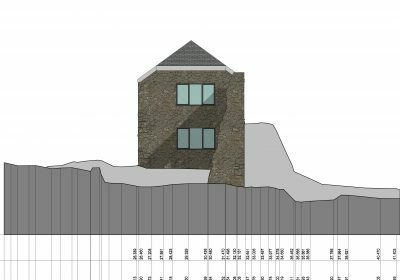 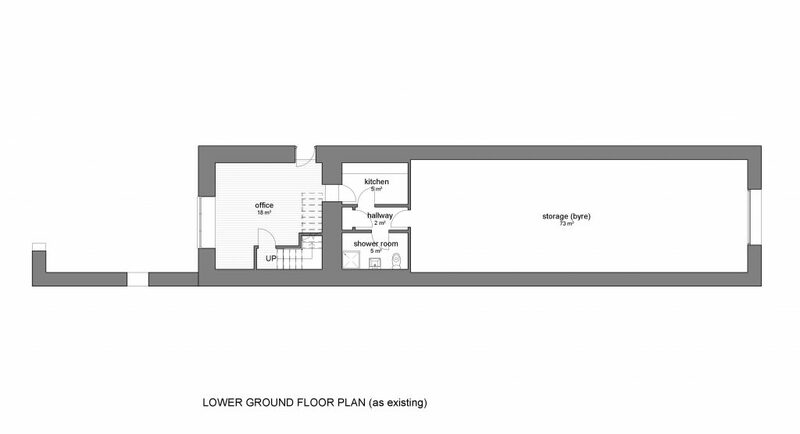 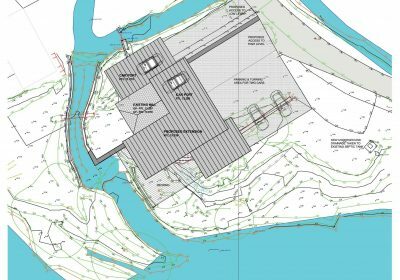 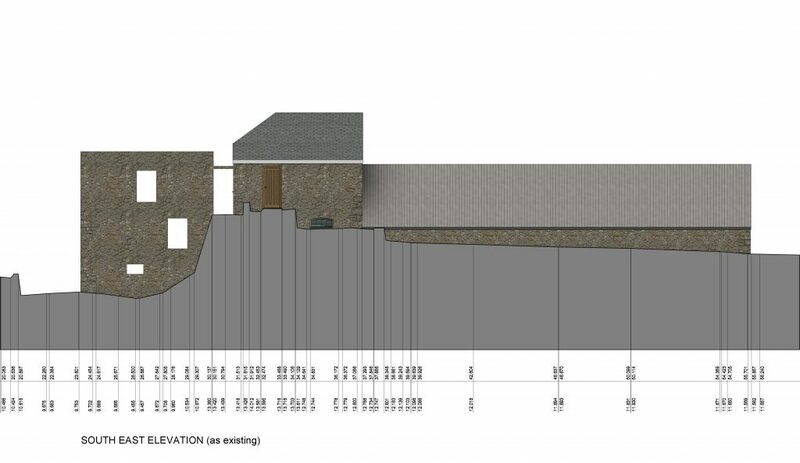 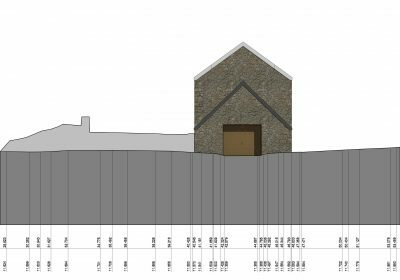 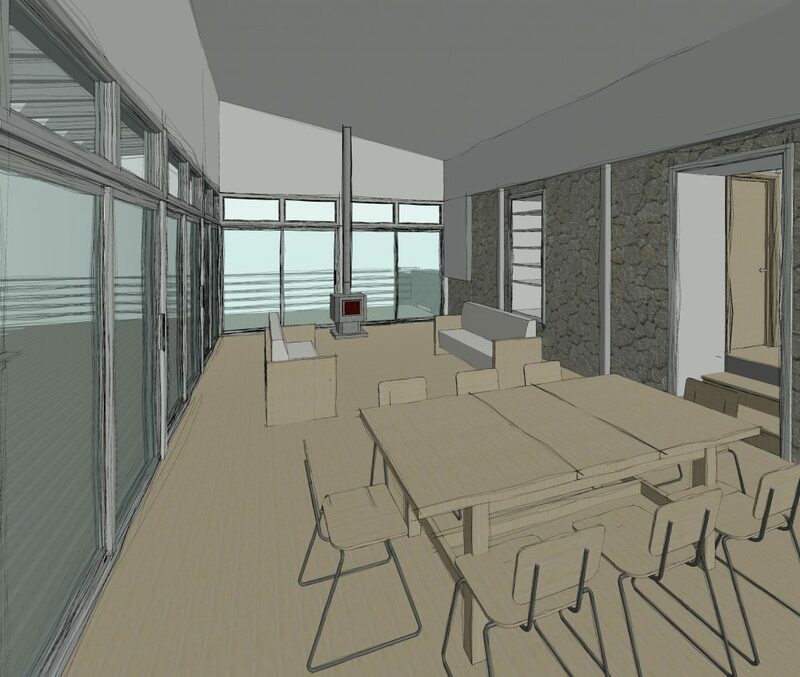 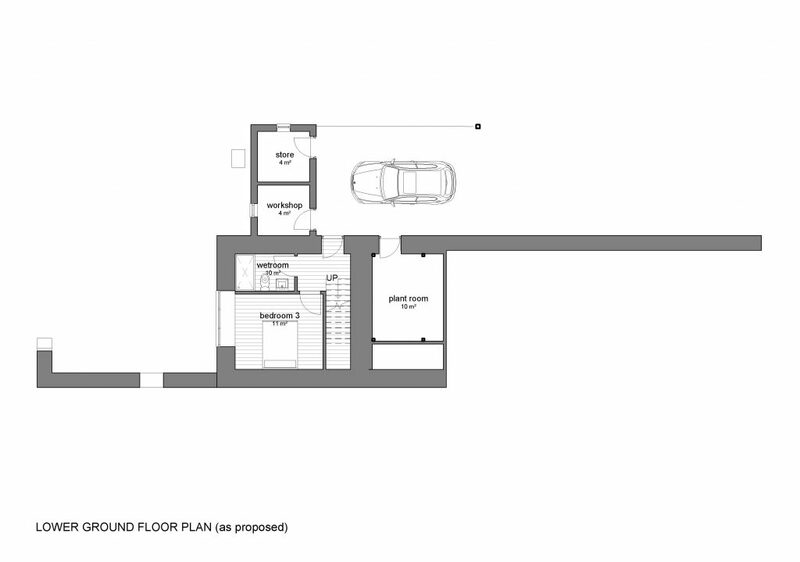 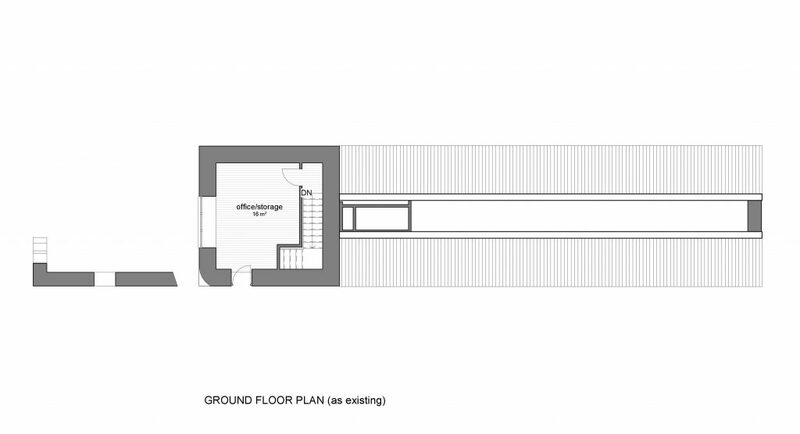 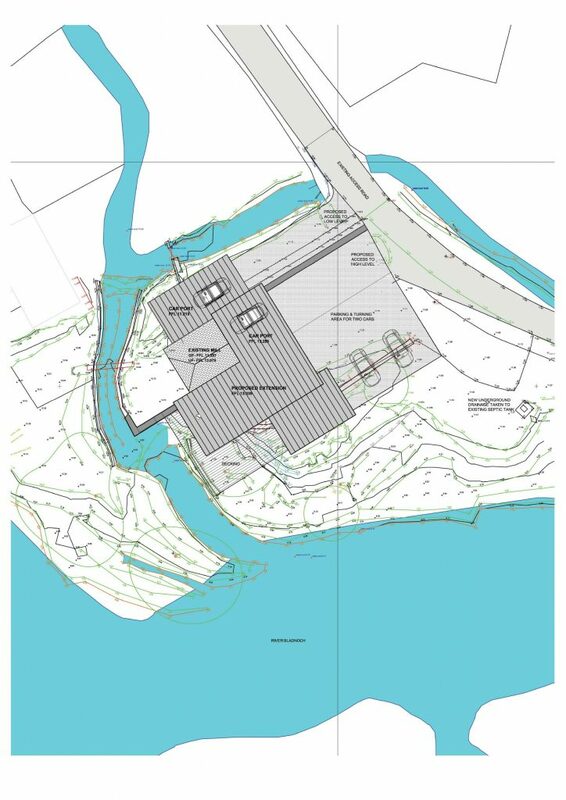 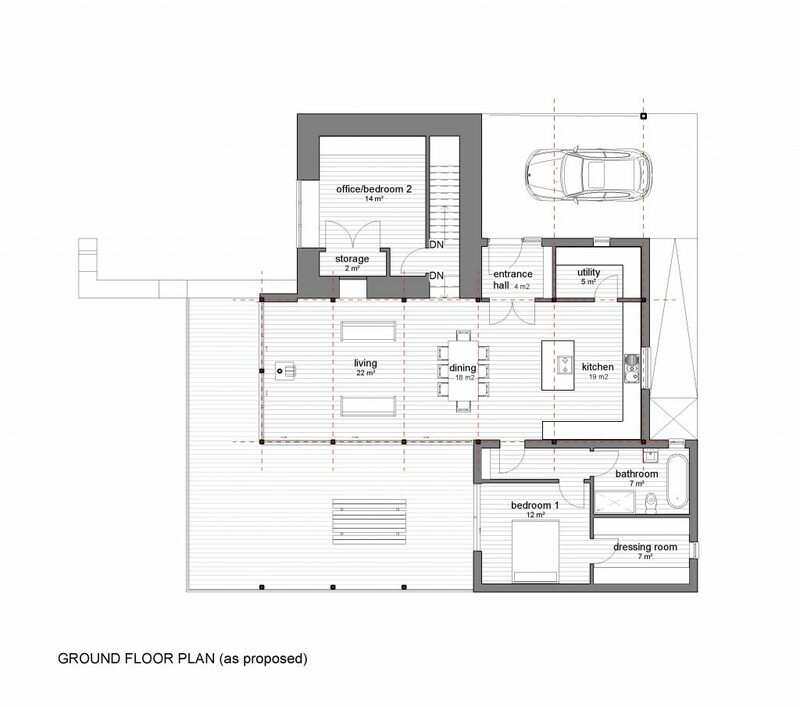 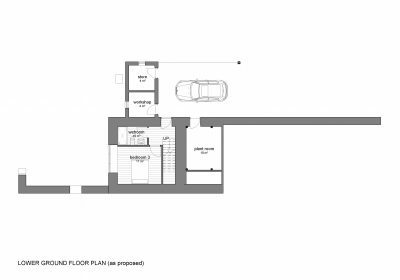 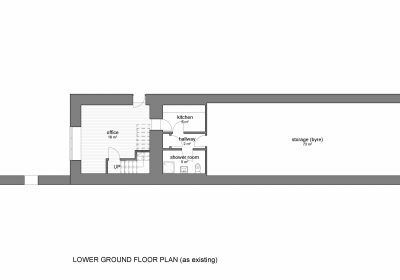 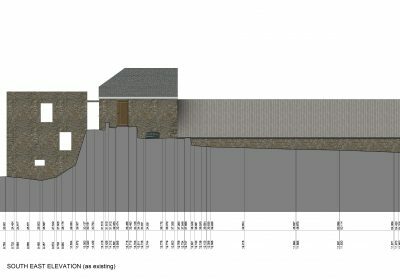 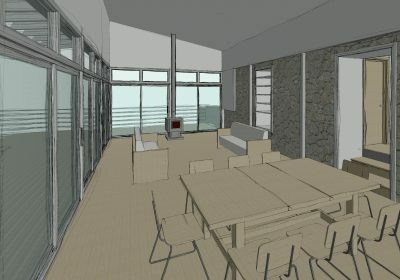 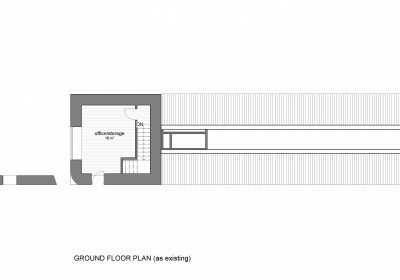 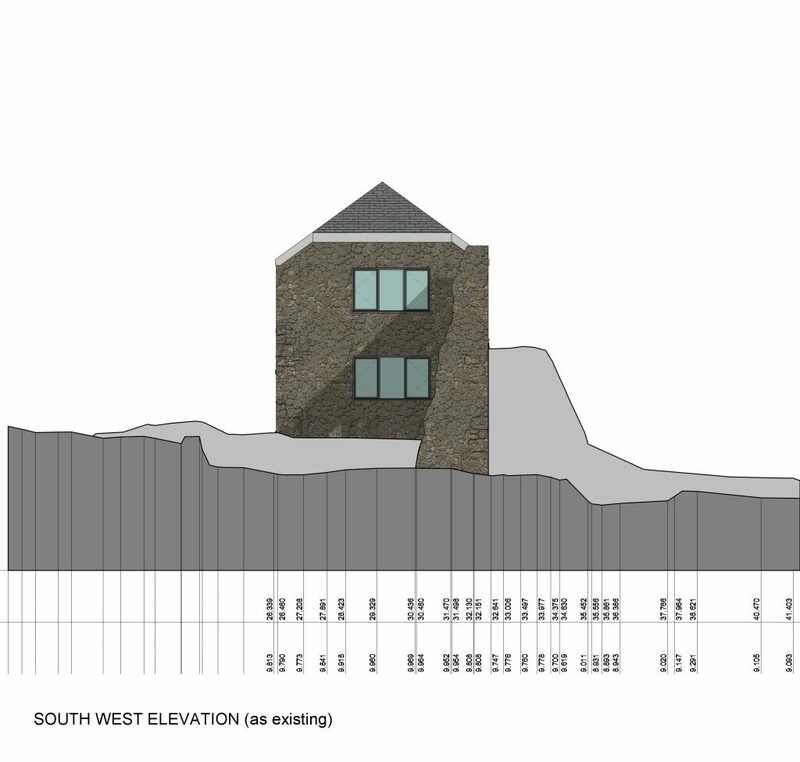 The split level site required a topographical survey to facilitate the design and set floor levels. 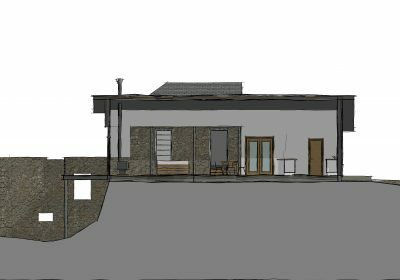 The new extension sits at the upper level (splitting the floor levels of the Mill building), with a carport at the lower level. 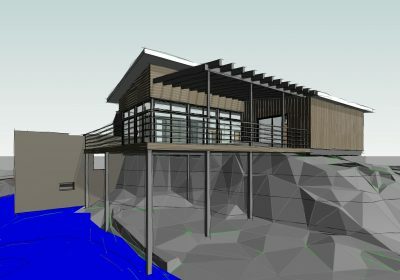 The building extends forward over the Mill Lade at the upper level, and is clad in cedar weatherboarding to enhance a lightness in the construction and give the appearance of a cantilever. 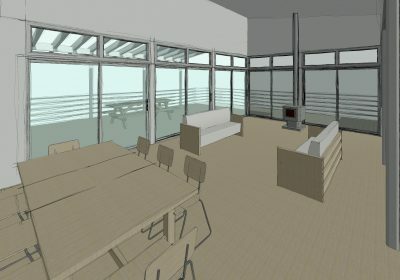 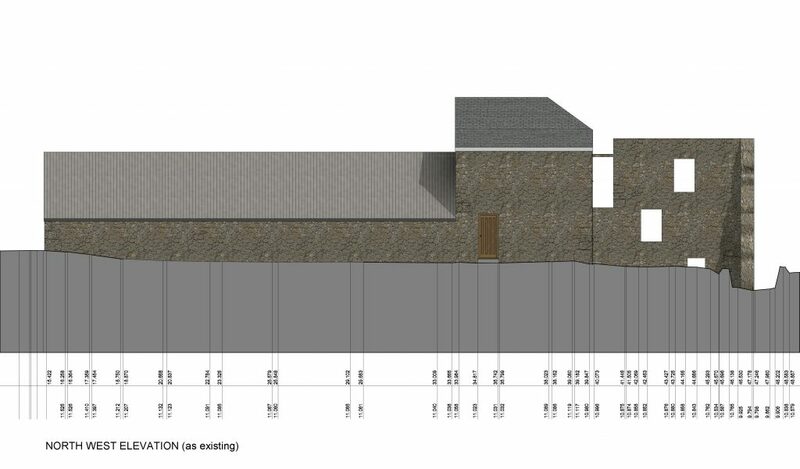 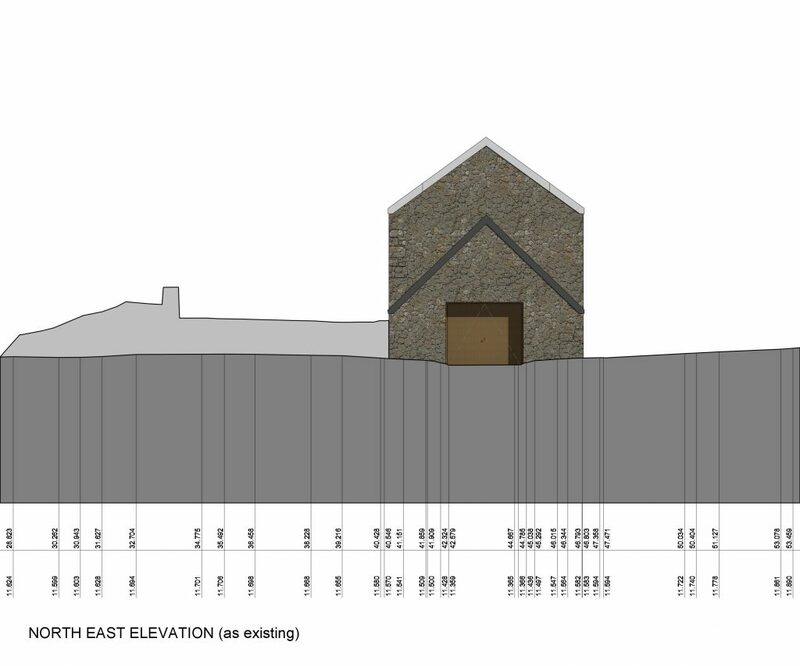 The construction of the extension will be steel frame, with high levels of insulation and large sections of glazing. 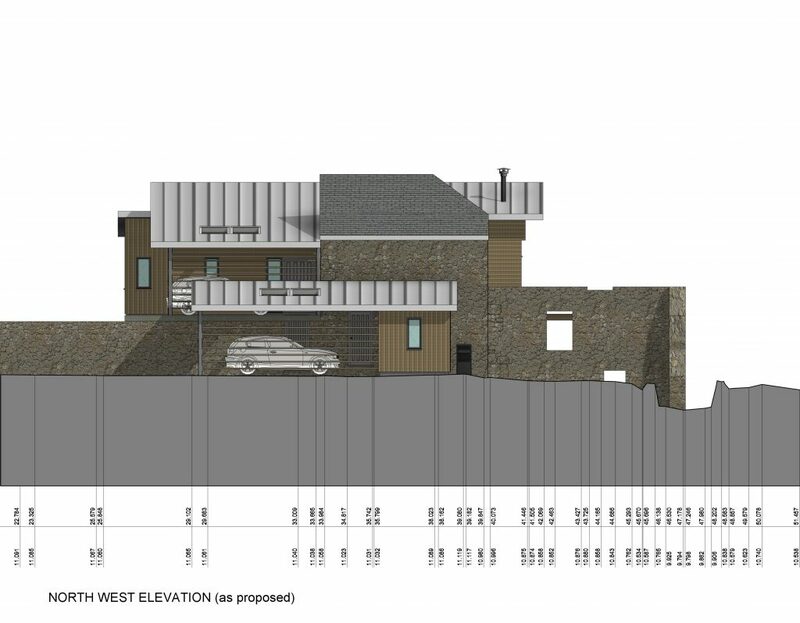 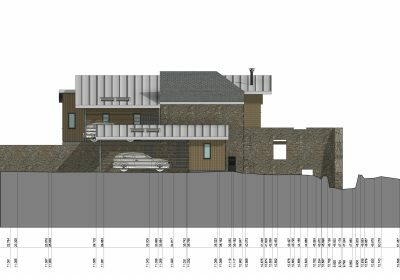 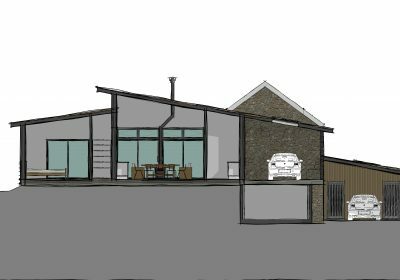 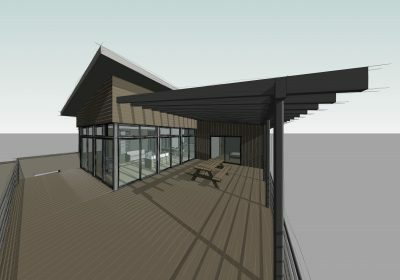 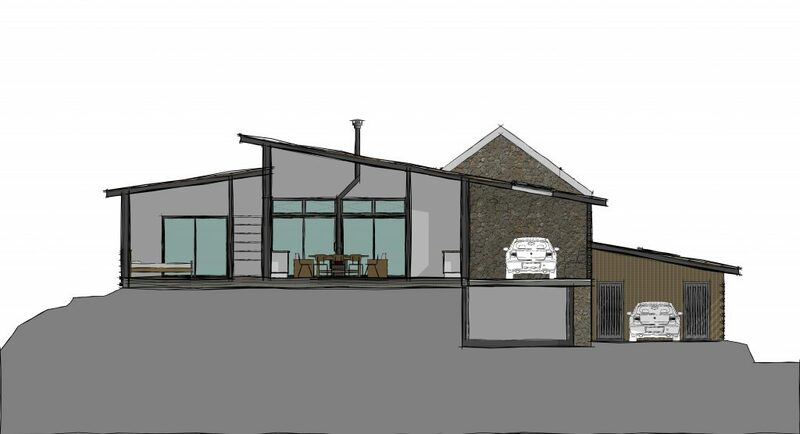 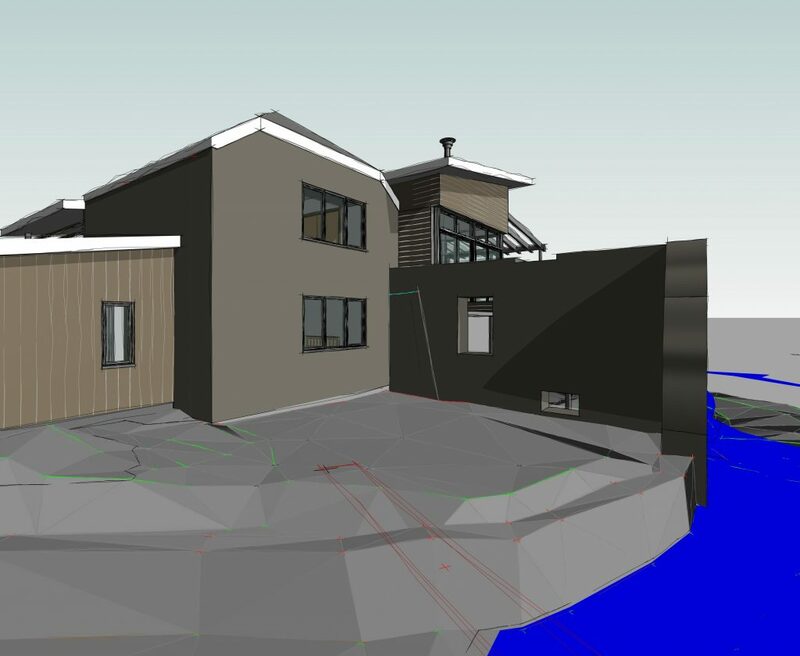 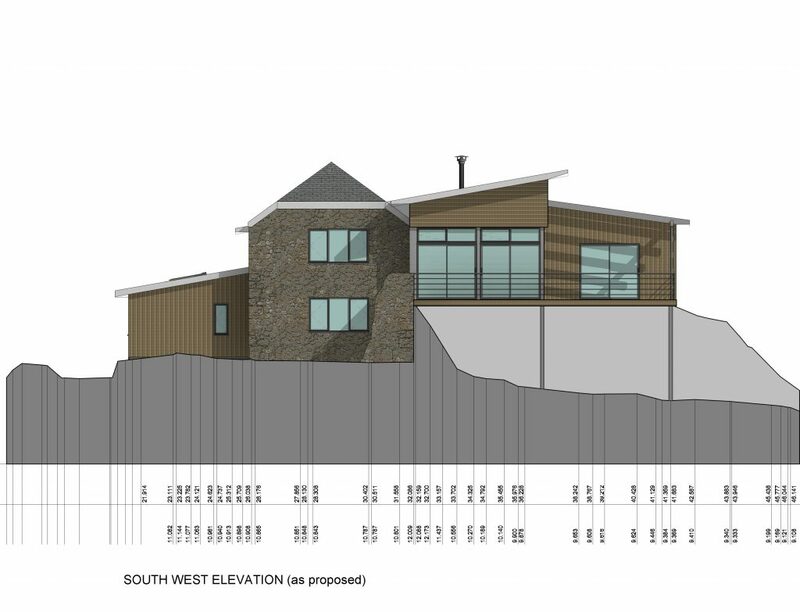 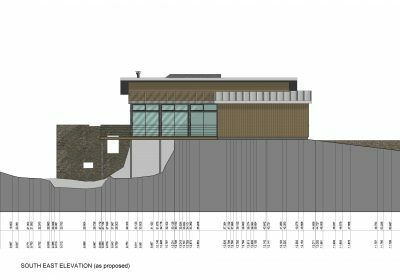 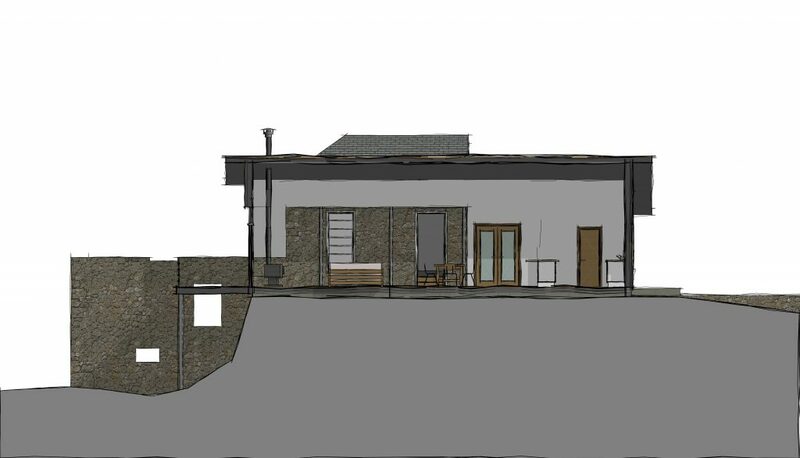 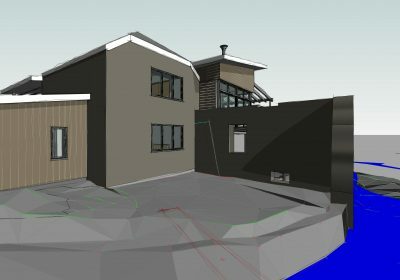 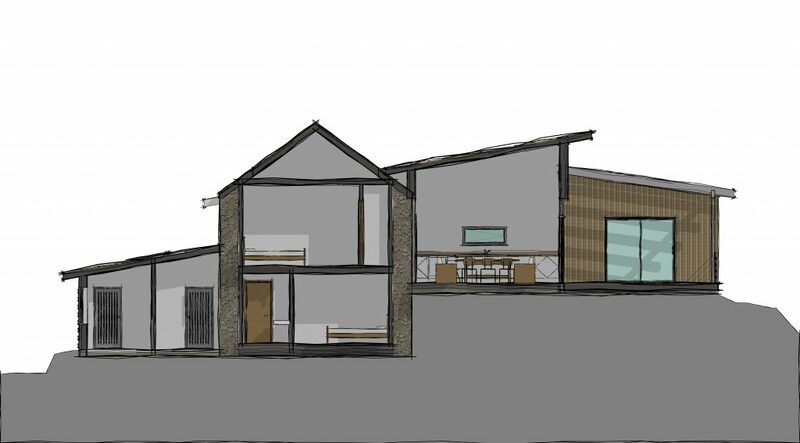 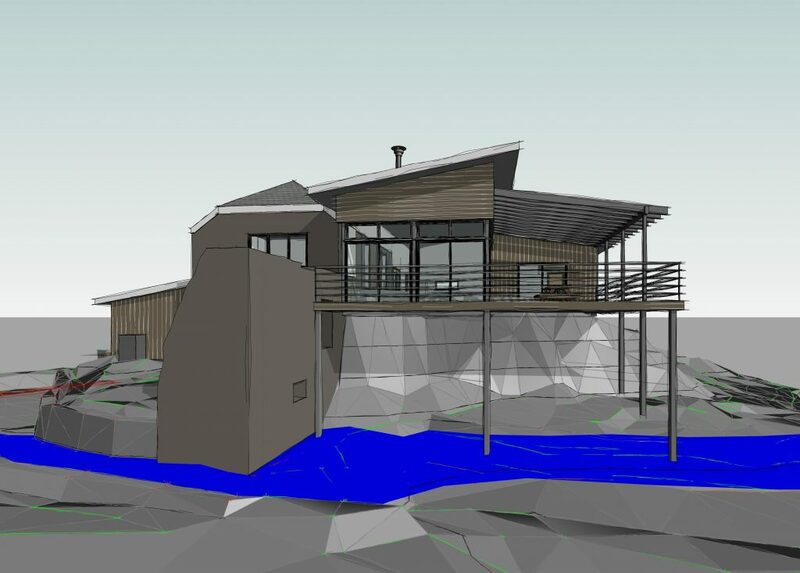 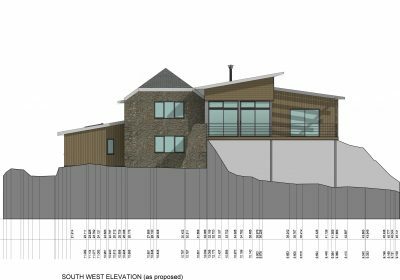 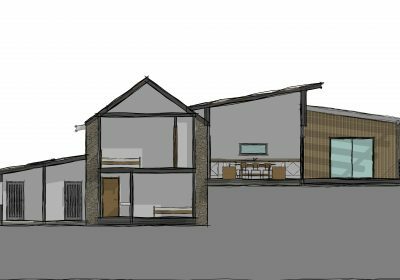 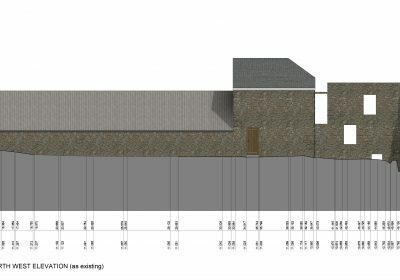 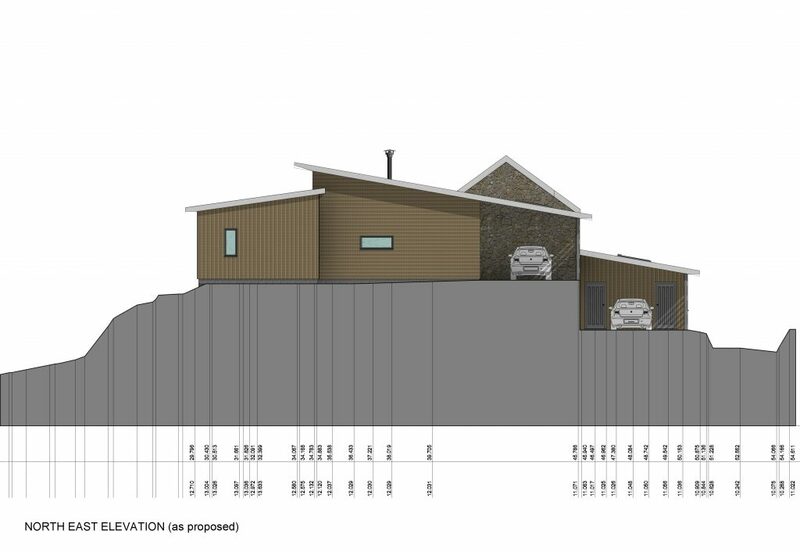 The roof will be mono-pitch standing seam zinc, with the main roof slope extending to form a carport, which will provide shelter at the entrance to the house. 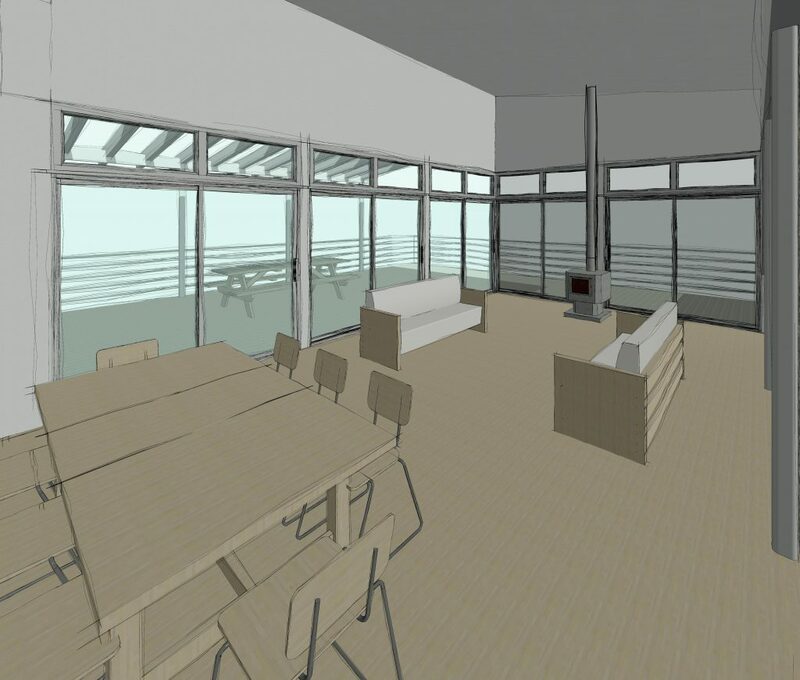 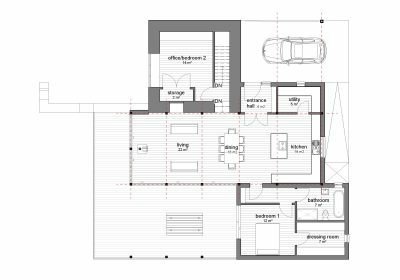 High performance timber windows and doors will be concentrated on the south east and south west elevations to maximise solar gain and an air source heat pump is envisaged.